Building on solid evidence that eating well is brain healthy, researchers are beginning to explore mechanisms through which dietary mechanisms may influence cognitive status and dementia risk. 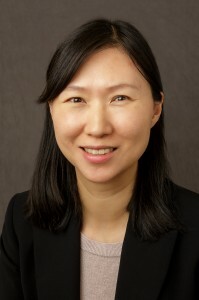 Yian Gu, Ph.D., at Columbia University, New York, and colleagues examined whether an inflammation-related nutrient pattern (INP) was associated with cognitive function and structural MRI findings in the brain. Using data on 330 community-dwelling, non-demented elderly individuals (mean age 79.7), the investigators found that an INP characterized by high intake of cholesterol, beta-carotene and lutein, and low intake of omega-3 polyunsaturated fatty acids, calcium, folate and vitamins (B1, B2, B5, B6, D, E), was positively associated with levels of inflammatory markers (C-reactive protein and interleukin-6). In addition, closer adherence to this INP was associated with smaller total brain gray matter volume and worse performance in executive function. Additional research in larger populations is needed to confirm the role of inflammation-related dietary components in brain and cognitive health, and help elucidate inflammatory or other mechanisms through which eating habits may alter brain function and structure.